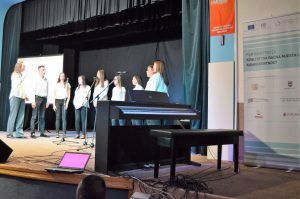 With the support of the project “Partnership for quality jobs and competitiveness”, in organization of the Center of Secondary Schools “Ivo Andrić”, the Grammar School and the Music School “Konstantin Babić” from Prnjavor, within the informative day on enrollment of pupils in the first grade of high schools, promotion of industrial occupations conducted today. 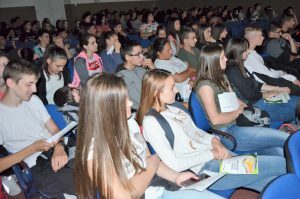 A plan for enrollment in the Center of Secondary Schools “Ivo Andrić” was presented to pupils, among which are departments where pupils are educated for vocational occupations which are in significant demand by industrial enterprises from Prnjavor: mechanical engineering and metal processing, forestry and wood processing, electrical engineering as well as agriculture and food processing. It was pointed out that the cabinet for practical education is well equipped and that new equipment (CNC with complementary software) is available, which greatly contributes to gaining of knowledge and skills needed for particular occupations. 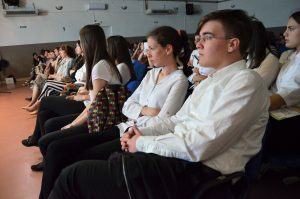 Students also had the opportunity to watch video clips and take brochures which promote secondary vocational education and present some occupations from the perspective of those who recently graduated from high school and started working in local enterprises. 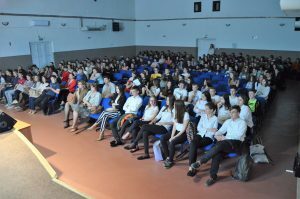 Organised promotional event of industrial occupations is part of the project “Partnership for quality jobs and competitiveness”. 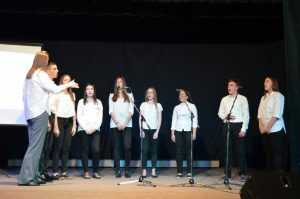 The project is funded under the project “Support to Local Employment Partnerships in Bosnia and Herzegovina”, funded by the European Union and implemented by the International Labor Organization (ILO).